Must finish work. Possibly one day of overtime this weekend. Nothing big, it was expected, and overall everything is going well. Caught this variation of the fun idea to ask Original Characters some questions, but the answer having to be in sketch form. I was tempted to bring in some older OCs, but I'll make them wait backstage a little bit longer. 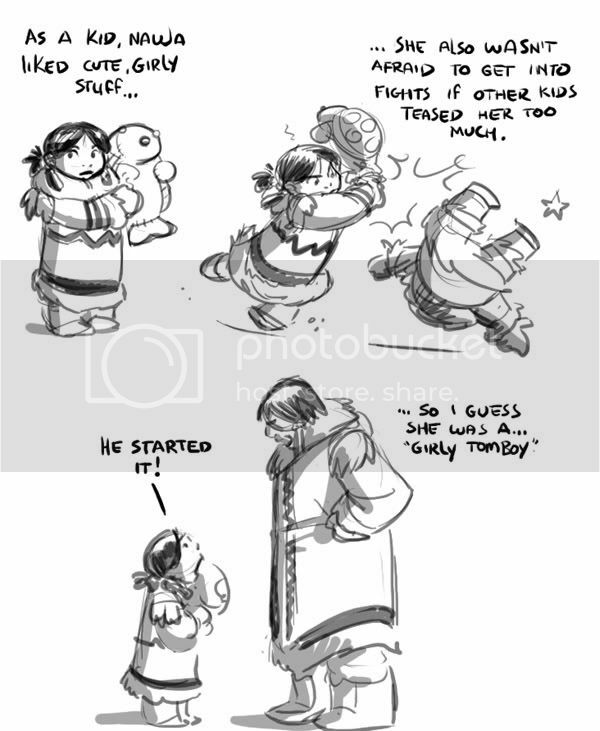 I guess there's plenty of Water Tribe OCs to go around anyway. I want to go ahead and doodle answers for what is there right now. May do this again in a future post. Many thanks for everyone who participated! I'll try and post the other answers by tomorrow or this weekend. In other news, I've been reading "The Terror" and enjoying it. Heck, forget television, that book is more fun! 1: What do you really think of Zhao? 2: Would you matchmake for Zhao and Nauja? 3: What do you think of your REAL boss? 4: Is the Perfect Butler act training, or natural talent? 5: Are you really a Fire Nation NINJA? And if that's 5 questions TOTAL, as in... all the commentators... I hold up only #2 for mine own. It's more like five person gets one question each. More people that way. ARLUK: Zhahn or Zhauja? COME ON, BE HONEST. Horuk: Any good stories from back when Zhaoka first lost his memory? Lao and Kwon: Which Zhao do you prefer, fire-bending egocentric ambitious Zhao or barely fire-bending semi water tribe Zhao? 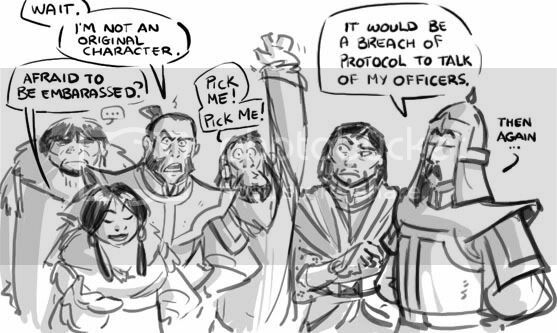 Arluk: Did you ever tease Zhao to the point you thought he'd fry you on the spot? Nauja: Has Zhao ever seen you with your parka off? 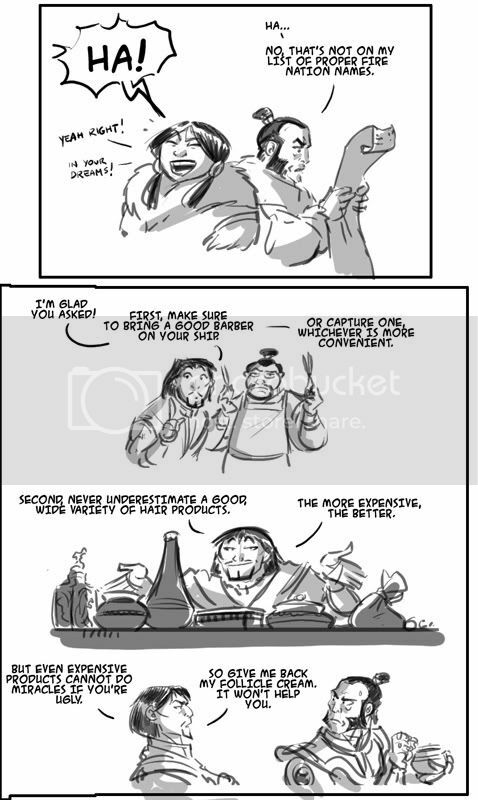 Horuk: What do you think of Zhao as son-in-law material? Nauja! Would you be open to the possibility of a lesbian relationship? 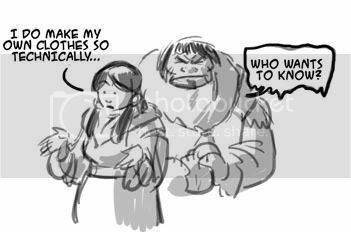 Horuk, what would you say to the idea of your daughter marrying Zhao? ^^ I couldn't help myself. Oops, darn, didn't see how many had posted. Oh well :) I look forward to your answers for the others anyways! Just in case I failed to understand, I have a question for Zhao. What are your feelings on the ex-wife you can no longer remember? Be honest! - Nauja, what are you going to name your lovechild with Zhao? - Lao, what recommendations would you have for a novice attempting to grow a moustache as sexylicious as yours? - Horuk, what is your dream for the future? 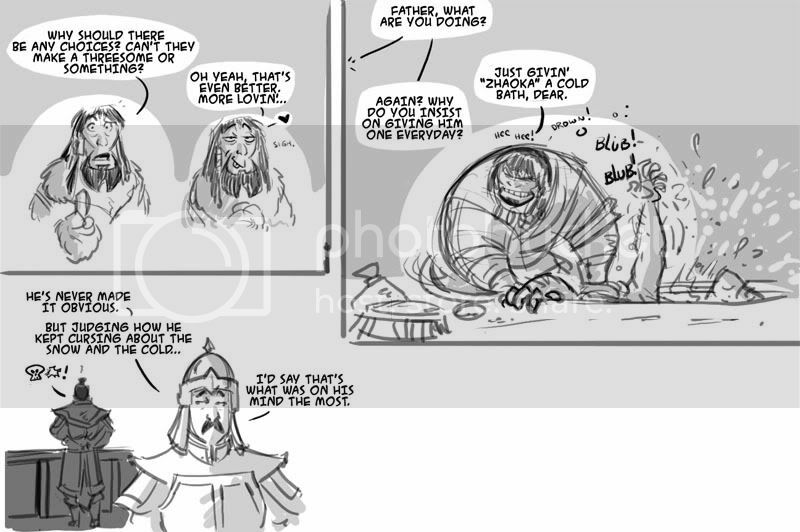 - Arluk, do you ever get jealous of Zhao's amazing good looks? - Zhao, will you marry me? 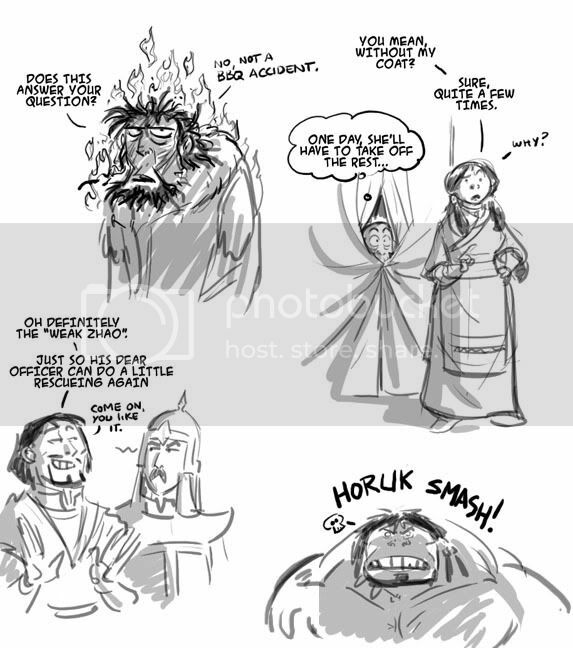 Do you think Horuk and Aunt Wu would ever hit it off? If Nauja went to see Aunt Wu for predictions about hr future, do you think Aunt Wu would try to pair her and Zhao up? If so, what predictions do you think Aunt Wu would make for Nauja, from that perspective, if Nauja went to see her for that purpose? Would Nauja even go to see Aunt Wu? I know I missed asking but I couldn't resist commenting on how AMAZING their answers have been. I would really want a copy! I won't be cosplaying but the cost isn't a problem. The thing is I'm afraid you might sell out, is there any possible way to reserve a ex?? Beautiful work! I only I had known you had a Livejournal site earlier....oh well, better added to my friends list late than never at all.